Going through a divorce takes an emotional toll on the entire family. It is a long process that can involve complications and conflicts along the way, even under the best of circumstances. During this difficult time, you will want to protect yourself and ensure the well-being of your children. Our lawyers understand how stressful it can be for all parties. Although some cases can be settled amicably, there are other times when the parties simply cannot agree and will need to go to court. Regardless of your situation, our team of experienced family lawyers will provide expert legal advice and support. Michigan is a no-fault divorce state, which means that neither party is held responsible for the failure of the marriage. A divorce can be granted even if one of the parties does not want the divorce to occur. You simply need to show that the marriage has broken down to the point where it cannot be repaired. Even if there are traditional “fault” grounds involved, such as adultery, mental illness or emotional abuse, those factors do not play a role in the determination of whether you can get a divorce. However, those factors can influence things like child custody, spousal support, and property rights. Michigan requires a six-month waiting period before you can get a divorce if minor children are involved. If you do not have children, the waiting period is two months. This waiting period begins when you file a complaint and ends with the final judgment of divorce. No matter where you are in the process, our experienced family lawyers at Stimpson & Associates can help. We can negotiate on your behalf to reach the best possible outcome. If you have assets or property that was in your name prior to the marriage, you may be able to protect those assets from being distributed to the other party. Our lawyers can help you create an inventory of assets and gather any documentation you may need to support your position around the distribution of property. Spousal support is a complicated issue and depends on many factors. Our experienced family lawyers can help you gather documentation to support your position on spousal support and ensure the best possible outcome for you. Our experienced family lawyers can help you ensure your child is taken care of financially. Over time, as your situation changes it may be necessary to make adjustments to the agreed upon child support payments. Our team can help you negotiate and reach the best possible outcome. There is no doubt that child custody is one of the most emotionally charged issues in any divorce. There are two types of custody: physical and legal. Physical custody refers to the child’s living arrangements. Legal custody refers to each parent’s right to make important decisions related to the child’s welfare such as schooling, religious affiliation, and major medical decisions. Custody can be awarded by the court as “sole” or “joint” and that decision may vary for the physical versus legal custody of the child. With “sole” custody, one parent has custody. With “joint” custody, the parents share custody. For example, a parent could be awarded sole physical custody of a child, but retain joint legal custody with the other parent. The love and affection between a parent and child. The ability of each parent to offer the child guidance and love in the continuation of the child’s education. The ability of each parent to provide food, clothing, and medical care. The length of time the child has lived in a stable environment and whether that environment may continue the permanence of the family unit in each home. The mental and physical condition of each parent. If the child is older than 12, the preference of the child. The ability and willingness of each parent to foster a good relationship with the other parent. Any history of domestic violence in the family. When you are involved in a divorce, you want to make sure to protect your rights as a parent and protect your child’s future. Our experienced family lawyers have helped many people resolve custody issues. We know the law and we will treat all parties with respect and help you negotiate the best possible outcome. Another complex issue is related to parenting time, or visitation. If one parent has sole physical custody of the child, then the other parent will have visitation. Even in cases where there is joint physical custody, you will still need a schedule to determine when the child will stay at each parent’s house. Visitation can be broken down into days or weeks but may be different on weekdays versus weekends. There may also be special schedules for holidays and other important days, such as birthdays. The court will consider the best interests of the child when determining visitation rights. It is critical for parents to work together to develop an arrangement that works best for the child and family, which is why a knowledgeable family lawyer is an essential part of this process. Over time, as your situation changes, it may be necessary to make adjustments to the agreed upon visitation schedule. This is another reason you will want to have an experienced family lawyer on your side. Our team can analyze your situation, provide honest feedback, and help you negotiate to reach the best possible outcome. If you are being verbally, emotionally, or sexually abused, you may feel like you don’t have any options. But, you can begin the process of healing by taking a step forward and getting help. You can educate yourself about your rights and take action to protect yourself and those you love. Domestic violence can affect anyone. It can occur in any relationship, whether you are married, currently dating, formerly married or dating, members of the same family or other household members. Our team of lawyers understands that fear and guilt can prevent you from speaking up about domestic violence. We can help you create a safety plan. We can also help to represent you in court and decide what evidence to present and who should testify on your behalf. We will be with you every step of the way as you take back control of your life and your future. Many people who are in abusive relationships do not know that Michigan law provides ways to escape such situations. You can obtain a Personal Protection Order, or PPO, to prevent the abuser or stalker from contacting you. It can feel overwhelming and scary to take action against an abuser or stalker, but the court order can protect you and your loved ones and give you peace of mind. Our team of lawyers works with these types of situations all the time. We can help you file the necessary paperwork and represent you in court. We can also assist you in the event that you feel the abuser or stalker is not respecting the terms of the personal protection order. It is not easy to speak up and make your voice heard. We are here to support you every step of the way. If you are unsure of the paternity of your child, it is important to take steps to sort things out. Establishing paternity is helpful for both parents, and it is in the best interests of your child. It can help unmarried mothers to receive necessary child support. It can also help unmarried fathers obtain parenting time. It also may assist in obtaining other benefits, such as health care coverage for your child. If you are in a situation where the father of your child does not want to be involved, you can still make sure that he provides financial support. In fact, he is legally required to do so. There are many options for establishing paternity. You can name the father on your child’s birth certificate or you can ask him to sign an official paternity statement. If he refuses to sign a paternity statement, you can legally establish his paternity through a court order. If necessary, the court may order DNA testing to prove the paternity of your child. Our experienced family lawyers understand the laws related to paternity and child support. 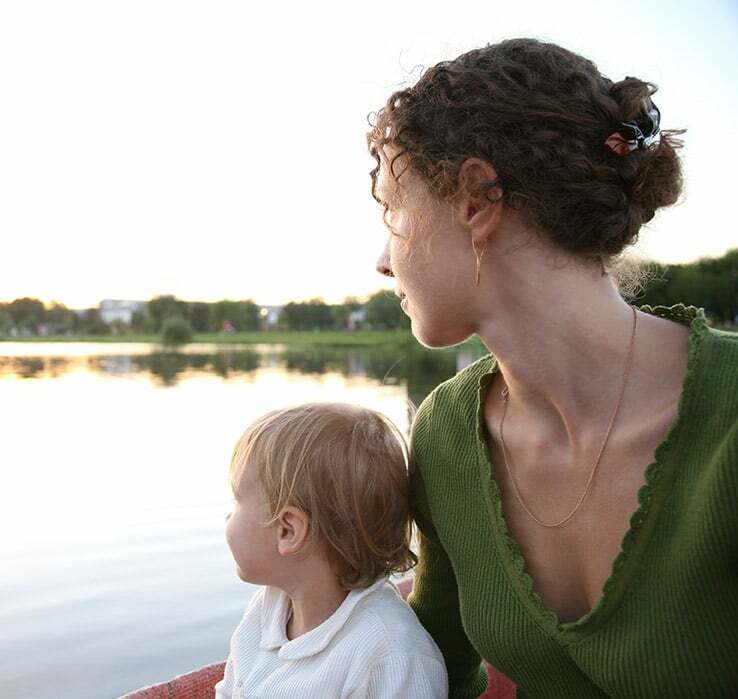 We can help you assert your rights and protect your child’s future. If you are looking for trusted and reliable legal advice for your family situation, call us for a complimentary consultation in Ann Arbor 734-707-9455 or Tecumseh 517-423-0999.